A couple of months ago, we got the scoop that Dame Helen Mirren was planning on playing Sarah Winchester in a movie about San Jose’s famed Winchester Mystery House. Not only has that been confirmed, we now have an update on the production, to be co-directed by Michael Spierig and Peter Spierig from a screenplay they wrote with Tom Vaughan. CBS Films has picked up the U.S. distribution rights to the supernatural thriller — and though I’m sure there’s an interesting true story to be told about Sarah Winchester, I’m more excited that the Spierigs are going the supernatural route. Or maybe that is the true story, though the current owners of the property, Winchester Investments LLC, seem to have backed away from the ghost story in their most recent advertising. Better news for those in San Jose: there will be filming done here, set to begin in March 2017. Maybe it will just be exterior shots, as the press release does mention that it will also film in Australia, but I’ll still hold out some hope for local actors. 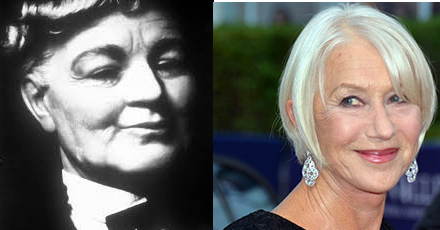 …the story of firearm heiress Sarah Winchester (Mirren), who was convinced that she was haunted by the souls killed at the hands of the Winchester repeating rifle. After the sudden deaths of her husband and child, she threw herself into the 24-hour a day, seven days a week construction of an enormous mansion designed to keep the evil spirits at bay. But when skeptical San Francisco psychiatrist Eric Price is dispatched to the estate to evaluate her state of mind, he discovers that her obsession may not be so insane after all. WINCHESTER will take audiences inside the labyrinth like house that is believed to be one of the most haunted places in the world. Might this spark a renewed interest in the late Leigh Weimers’ play The Ghosts of Sarah Winchester? That’s another one of my hopes. 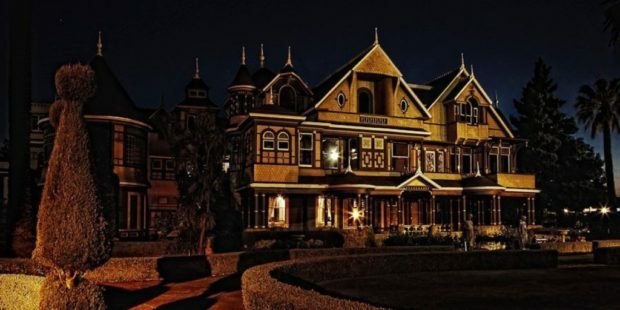 I know that comics writer Peter J. Tomasi also had a screenplay based on the Winchester Mystery House; maybe it’s time to dust that off as well — and by next year’s Silicon Valley Comic Con, we could include tour buses to head over there. 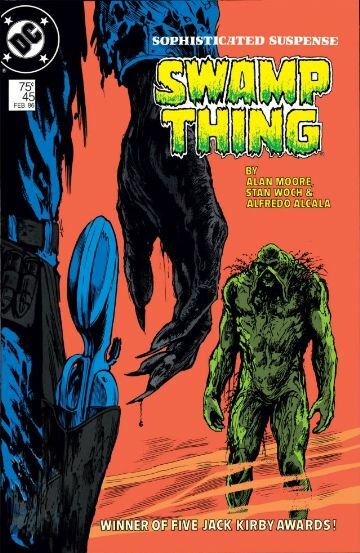 After all, there’s also a classic issue of Alan Moore’s run on Swamp Thing that takes place there. We’ve got comics history!